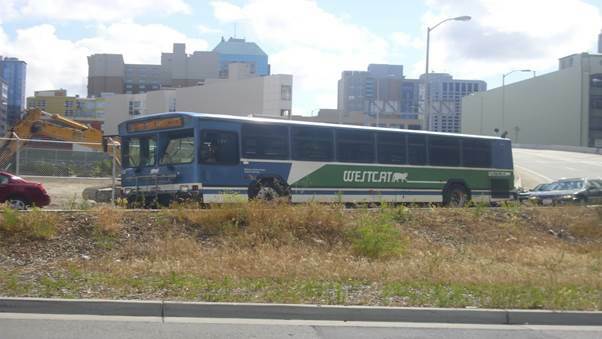 Western Contra Costa Transit Authority (WestCAT), a public transportation service in California, has switched their entire fleet of 45 heavy duty buses from operating on petroleum diesel to using only Neste MY Renewable Diesel(TM). "Following the success of our three month trial of Neste MY Renewable Diesel, we have now converted our entire diesel fleet to operate on renewable diesel," said Charles Anderson, General Manager, WestCAT. "We originally transitioned to Neste MY in response to our Board's interest in reducing our environmental footprint," said Anderson. "Changing to renewable diesel allowed us to immediately reduce emissions from our entire fleet, rather than making a series of small improvements as we replace vehicles one at a time." "Neste is happy to have a progressive transit agency like WestCAT join the ranks of other front-runners in the quest towards more sustainable solutions," said Jeremy Baines, Vice President of Sales, Neste US, Inc. "By making the switch to Neste MY Renewable Diesel, they are committing to reducing emissions without compromising fleet performance."